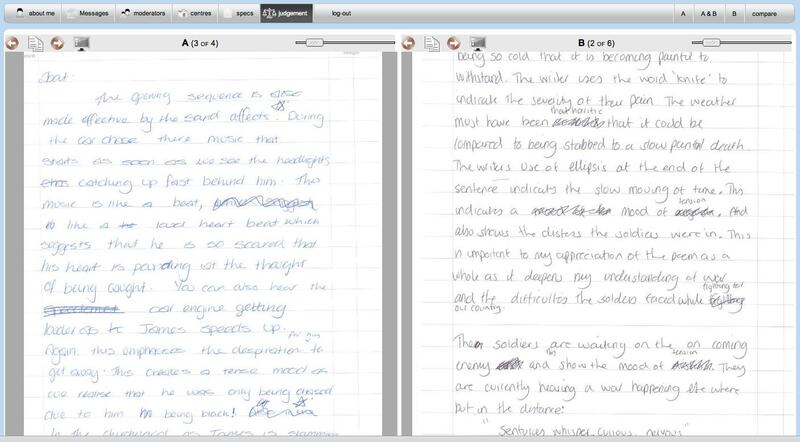 Traditional marking of students’ work struggles to assess creativity and high-order thinking skills reliably. A recent technological innovation, called Adaptive Comparative Judgement (ACJ), potentially offers a solution to this. ACJ is based not on atomistic mark schemes but on holistic expert judgements of pairs of students’ work. The outcomes of many such pairings are used to construct a rank order of students. Previous studies using ACJ have shown the final rank orders to have a high reliability (typically >.95) and to correlate strongly with other measures of student achievement. On Wednesday 28th Sept, Dr Ian Jones from the Mathematics Education Centre here, and Matt Wingfield from TAG Developments, will be giving a presentation on ACJ in the Library. E-mail me if you’d like to attend: c.f.g.shields [at] lboro.ac.uk . 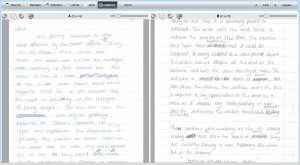 Addendum: the session was captured using the ReVIEW (Echo 360) lecture capture system and can be viewed at http://tinyurl.com/lboroACJpresentation . This entry was posted in Pedagogic by Charles Shields. Bookmark the permalink.